Today we are going to introduce you to a very special project. 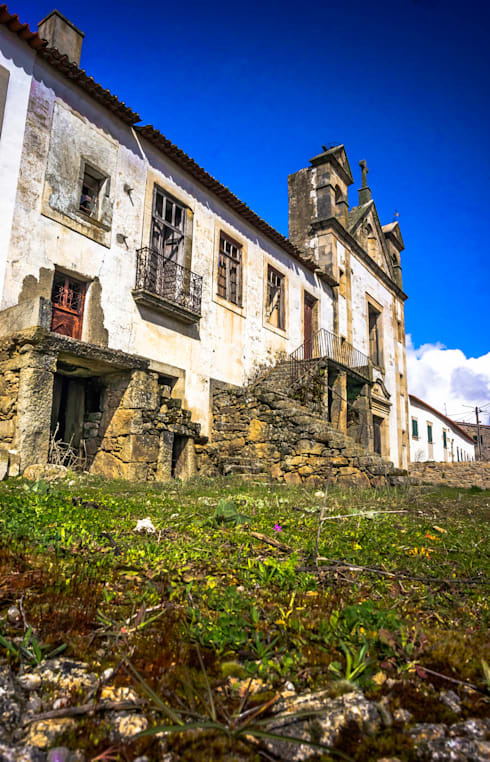 This ideabook examines the recovery of an old school building in Aldeia da Ponte, in the Sabugal municipality in Portugal. 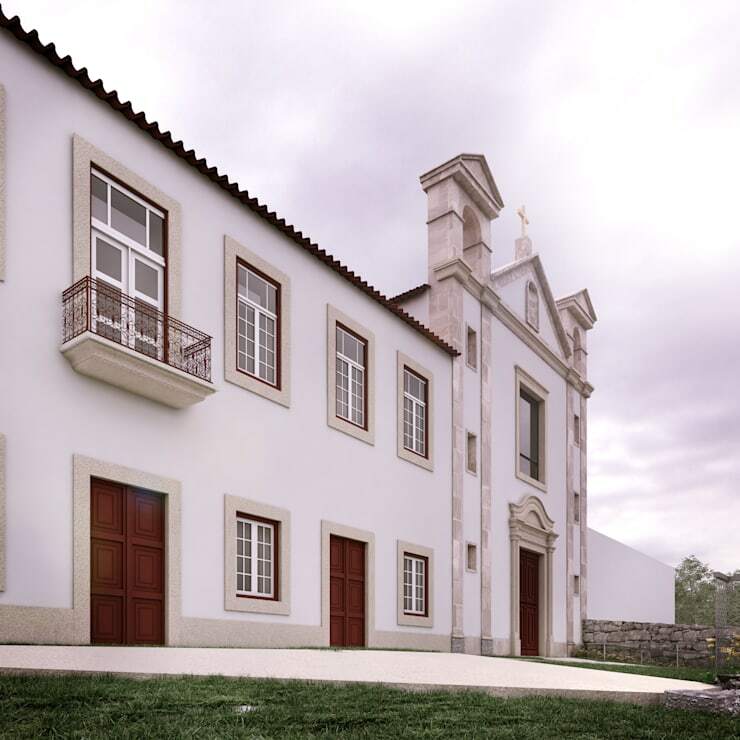 Built by Father Francisco Maria Rodrigues d'Oliveira Grainha in 1891, we will see that this building has strong historical features that make it a characteristic home in this village. However, despite it's 19th century architecture, this school was in very bad shape. Recently classified as a building of municipal interest, the building needed to be improved without affecting the original structure. We will witness how this influenced the design process when it came to the renovation, preserving the history while creating a new and improved building. 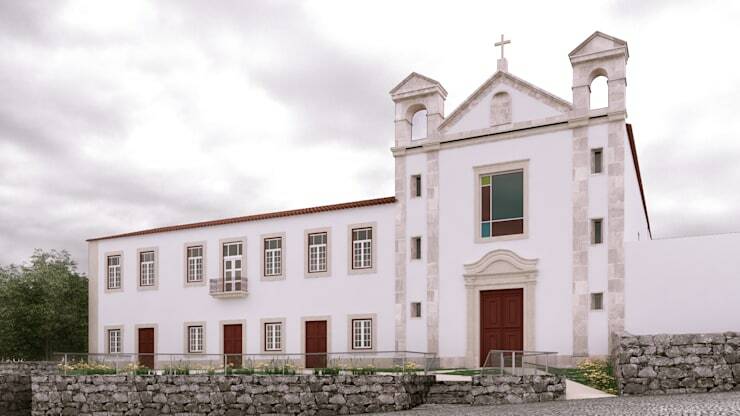 The challenge was undertaken by David Bilo, Architects based in Coimbra. You will see how they used the past as a resource for the creative process, without forgetting the present. In turn, they have created a space of great significance to the timeless, rural village. Curious to find out more? Let's explore the before and after below! In this image, we can see that this is a building with great heritage. However, it is in a state of decay with seemingly no end in sight when it comes to how run down it is. It is a landmark for this village and yet it looks like it is about to crumble with time. We can see that this a large, grand building made up of two floors with several windows. Yellow and white dominate the facade. Outside, the stairs connect the two floors, while looking out onto what was once a beautiful meadow. The windows are no longer windows, but rather holes in the walls. 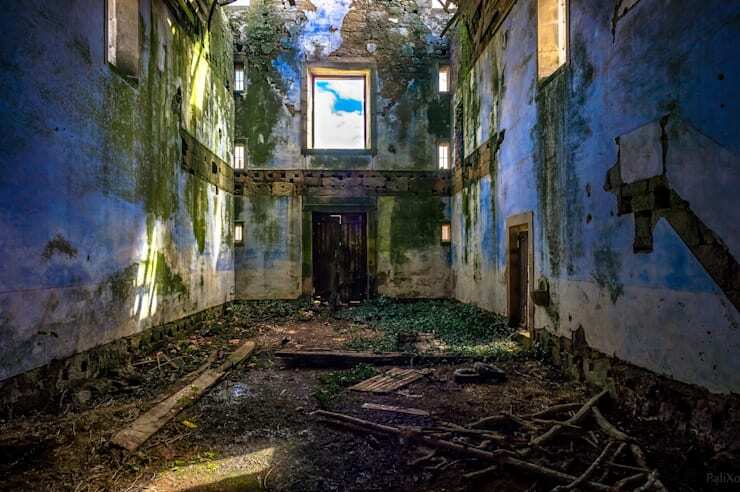 The ceiling is gradually caving in and nature has begun to take over this space. It's decrepit and run down. We can see that moss now covers the walls and grass has begun growing from the floors. Maintenance is essential for any building, but especially for an old building. In this case, the architects had to carefully assess the space to decide which architecture should be maintained to preserve the heritage value, while still making it a modern and usable space. Fascinating is it not? The entire home has been reinterpreted into a modern design, while it maintains its 19th century architecture. This ensures that the essence of the former design remains but it takes on a whole new and refreshed look. Don't you think the new colours create a very clean looking facade? We can see that the exterior stairs were removed, probably because they were an unnecessary element that was no longer functional. The designers have chosen to eliminate it so that it doesn't interfere with the facade. Like the idea of incorporating the old with the new? Have a look at this ideabook: Before and After: Reincarnating a Rustic Barn. From this image, we can see that the windows and doors have been standardised, improving the appearance of the building's facade. The exterior look and feel is now dominated by white and a reddish brown. Don't you love the touch of granite throughout, which maintains the detail and heritage of the building before the renovation, especially in the chapel area? The chapel window, which was once run down with no glass, now features what you might call modernist stained glass. This design style as well as the colours are compatible with the facade. The outer area includes a traditional stone wall, which has been restored, which gives height and depth to the landscape. It also serves as a boundary between the private space and the public space. Have a look at the homify fencing and wall products to find a similar design for your home! The ancient religious architecture was a bit old-fashioned previously but when we revisit it after the renovation, we can really appreciate how beautiful it is. Some old elements have been preserved, especially the space available, but the finishes are modern and minimalist. Don't you love the gorgeous, crafted lighting? 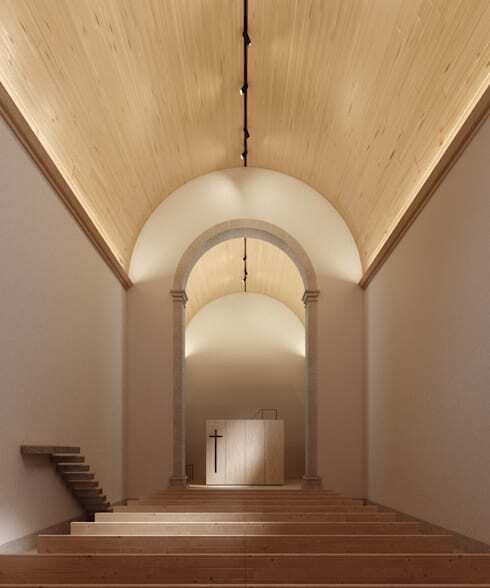 Another detail is the staircase on the left side of the room, which seems to represent the modern interpretation of a pulpit. The new interior of the school speaks to us in modern tones with a comfortable and minimalist style. The room is finished in a light wood with mostly neutral colours and decorated with subtle lighting. 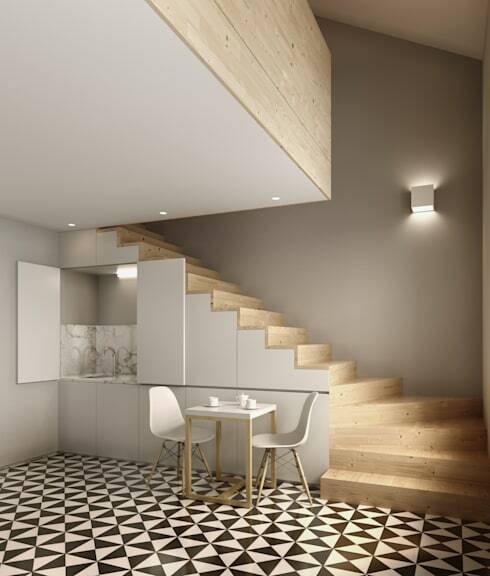 The floor features black and white patterned tiles, which really add the finishing touch to the room. The chairs are elegant design pieces, which are increasingly being utilised for spaces like this. Have a look at these: 7 minimalist interiors that wow!